Some of us here in the Philippines are devastated by the recent typhoon Ondoy. Most of us are still on a recovery state of the tragedy. But are we really prepared if something much worse happen? Like this clip from the upcoming movie 2012. 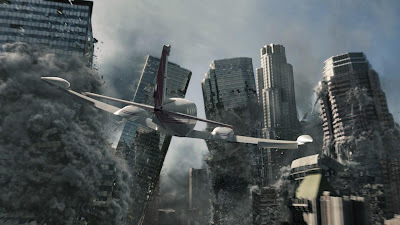 It features a 5 minute preview of the film the shows how a massive earthquake destroy California as the characters headed by John Cusack run for their lives. This clip gave me the creeps. What if the 2012 premonition is true, are we really prepared? Opening soon across the Philippines, “2012” is distributed by Columbia Pictures, local office of Sony Pictures Releasing International. Visit www.sonypictures.com.ph to see the latest trailers, get free downloads and play free movie games.